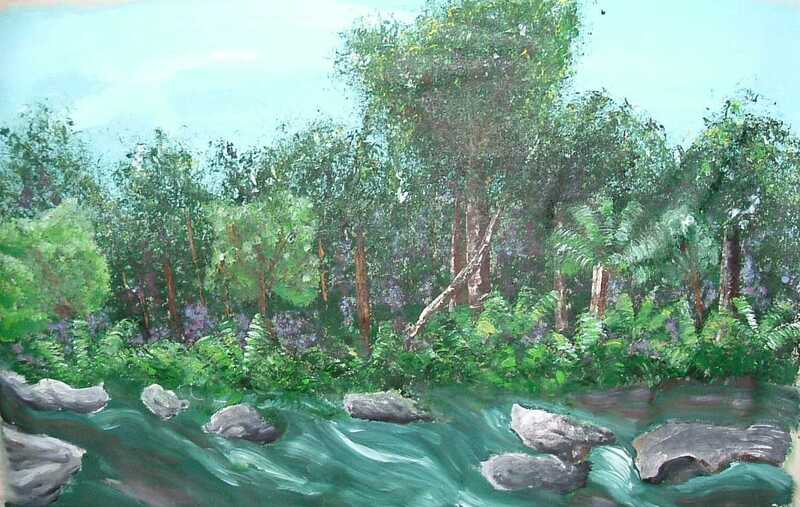 Inspired by the rock pools encountered on camping trips, "Rocky Waters" agian highlights the unique fern leaves which are characteristic of Nadia's forestscapes and is another example of the movement and colour Nadia captures in the water features of her paintings. "Rocky Waters" is an acrylic on canvas, currently unframed and for sale for $475. All Rights Reserved . . . .